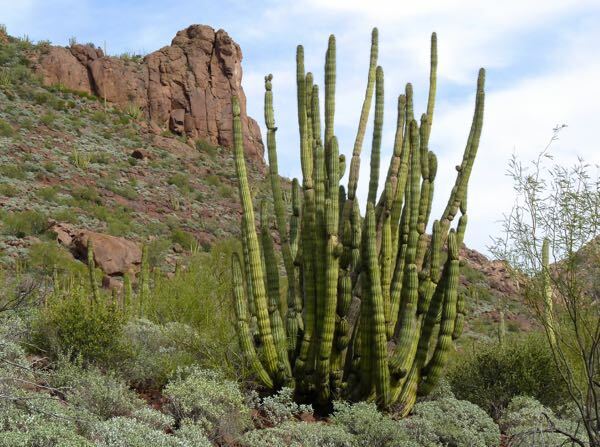 More exploring in Organ Pipe Cactus National Monument; this time on the east side, took me to Alamo Canyon. Three miles on a narrow gravel road lead to the trailhead, and a camp suitable for tents and vans. There wasn’t much space for visitors; so, I parked between two of the campsites. 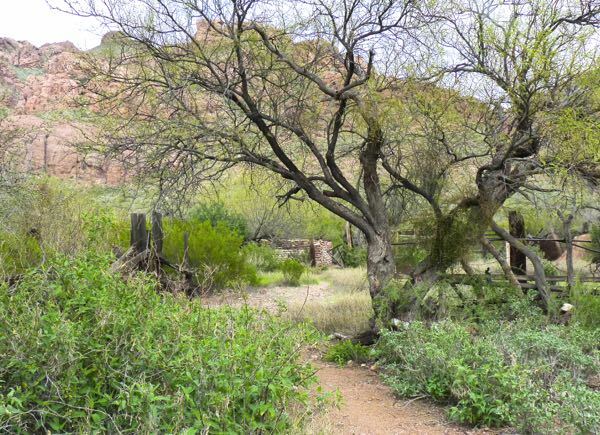 A somewhat rocky trail lead one mile into the canyon, paralleling Alamo Wash, to an abandoned ranch. 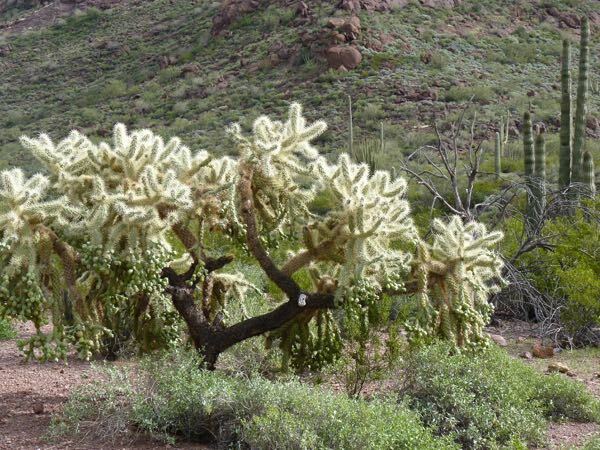 It was a very scenic hike with plenty of cacti, trees, rock formations and cliffs. 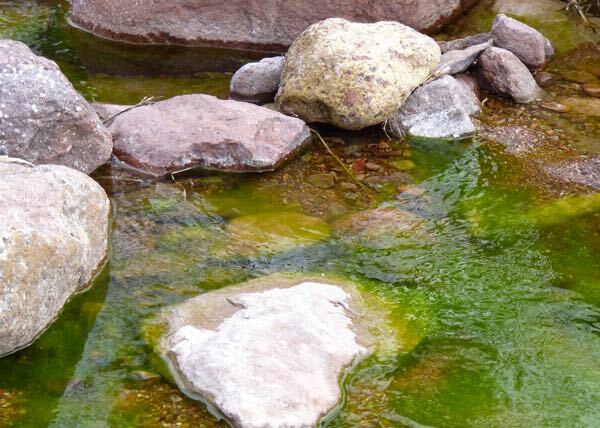 At one point, the trail went across a wash that held several pools of water. 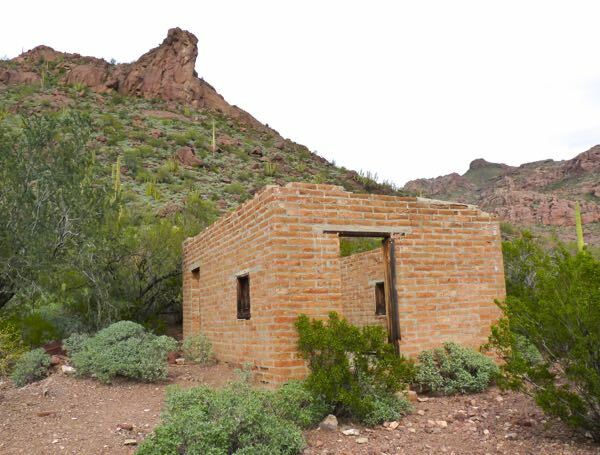 An adobe brick cabin signaled the arrival at the ranch. Further on, was the crossing of the wash, and then the entrance into a corral. There was a decaying fenced area, and a holding tank ruin next to what looked like a wellhead. A sign warned of possible danger if you were to continue on the narrow trail into very dense bushes. 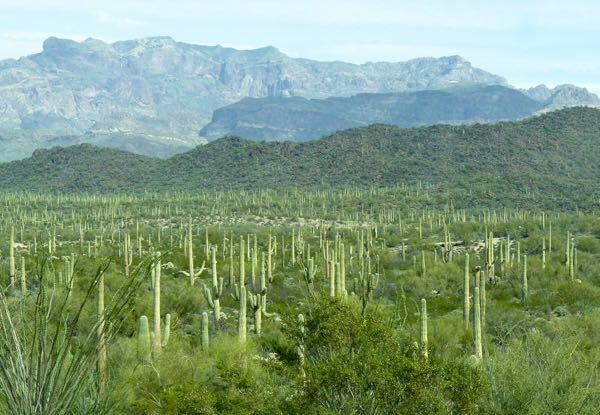 I took my time walking back out, and enjoyed the variety of desert plants and views. When I got back to Tardis, there were several van campers arriving to claim the small campground. Twice, while driving out, I had to squeeze to one side of the road to allow others to pass. It was very tight clearance for them to get through. Driving back to camp, I pulled into a wayside viewpoint for the Ajo Range to take a photo. 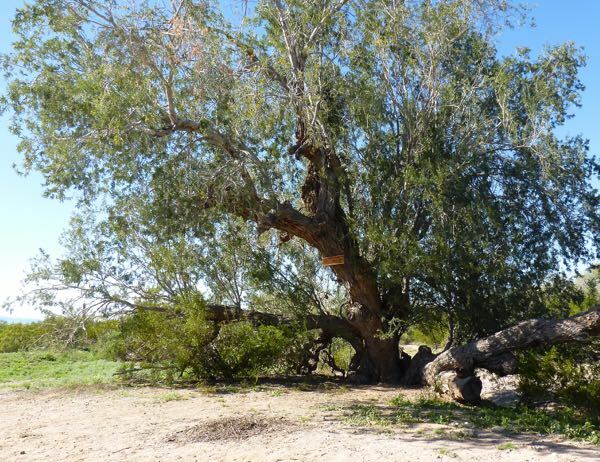 A return to the large ironwood tree by the wash was a nice ending to an enjoyable time hiking the canyon.